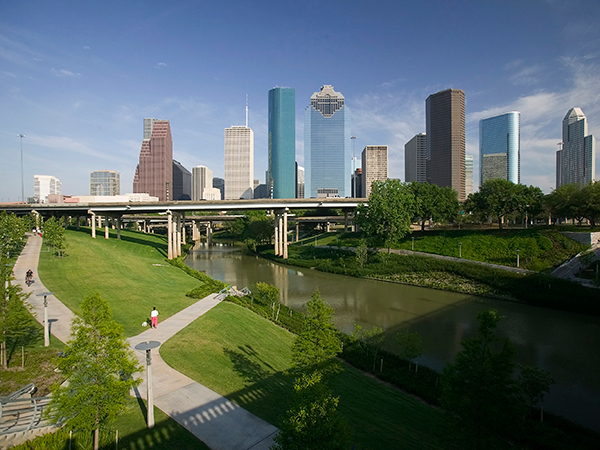 Formerly a desolate and neglected area on both sides of Buffalo Bayou, this 1.2-mile section of the river serves as a pedestrian gateway to downtown Houston. 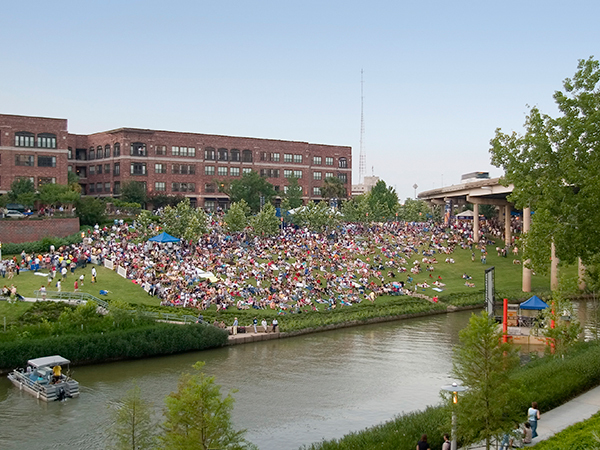 Shortly after its establishment in 1986, the Buffalo Bayou Partnership commissioned SWA Group to design a master plan for Buffalo Bayou Park, of which the Promenade is a part. 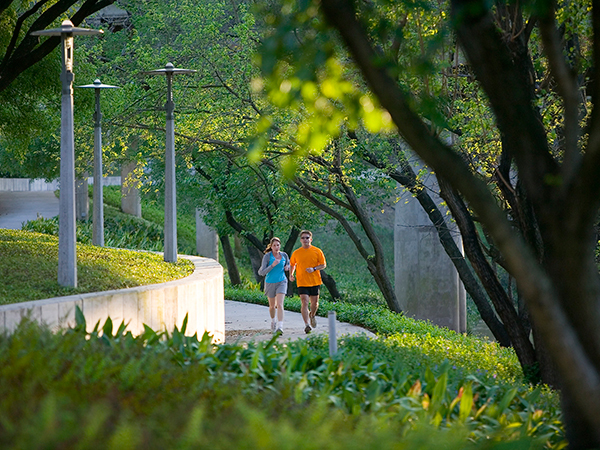 Situated between Sabine and Bagby Streets and traversed by numerous freeways and arterial roads, the 23-acre linear park increases the area’s ability to handle stormwater while providing significant opportunities for recreation. 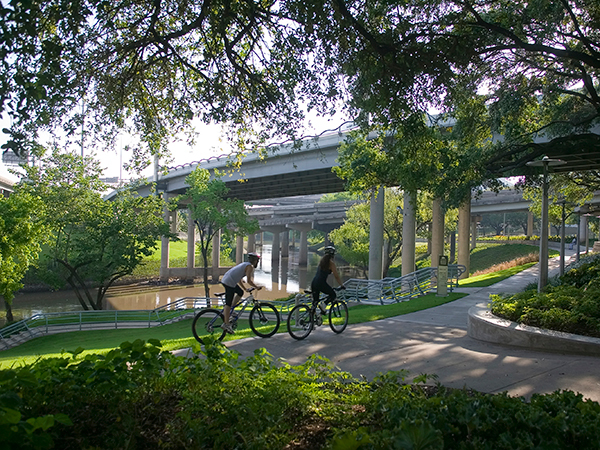 The design of the park included extensive re-grading of the site—improving access, enhancing views, reducing erosion, and increasing floodwater conveyance. 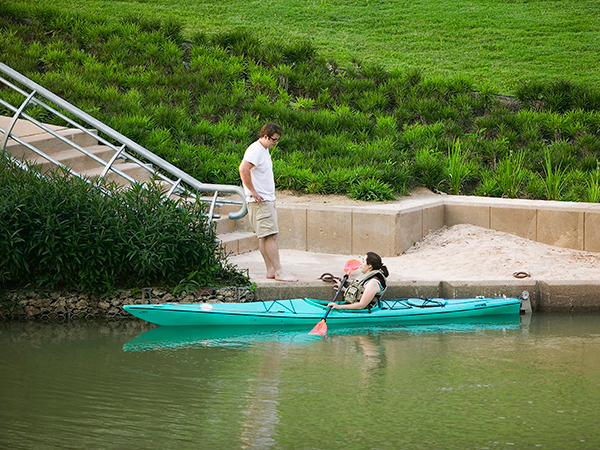 A sequence of stairs and ramps extend major street access into the park, demarcated with stainless steel canoes by sculptor John Runnels, each etched with narratives related to the importance of water. 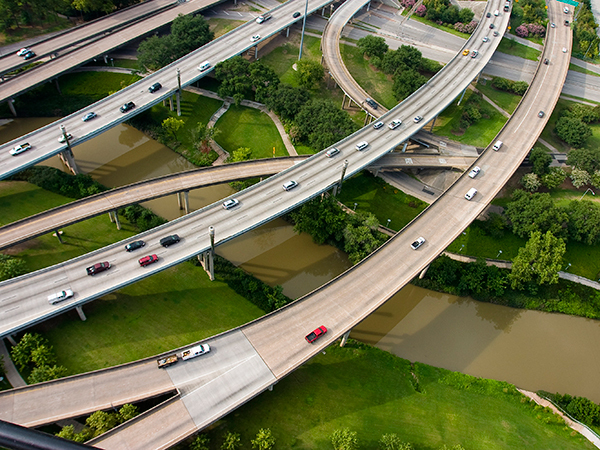 After meandering through overhead columns supporting the freeway above, paved walks and bridges provide interconnected pedestrian and cycling circulation, with connections to canoe launches along the Bayou and Eleanor Tinsley Park to the west. Recycled concrete gabions stabilize the steep banks while creating a porous foundation for the 300,000 native riparian plants that replaced weeds and bare soils. Material choices used for bridges, stairs, railings, signs, and lighting reference surrounding infrastructure. Dramatic lighting throughout the park was developed by artist Stephen Korns and designers L’Observatoire International to transition from blue to white in relation to phases of the moon. 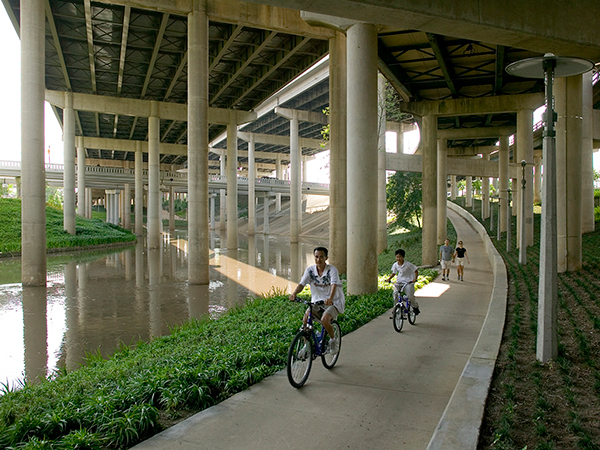 In 2009, the project received the Award of Excellence from the American Society of Landscape Architects.